CMS’s WordPress development services, Raleigh, North America allows you to hire WordPress developers at affordable prices. These experienced and highly skilled programmers creatively deliver result-oriented development services and comprehensive solutions as per your business pre-requisites. WordPress is a prominent open source content management systems used for blogs and business websites all around the globe. Being a user-friendly system, WordPress web development comes stacked with great plugins, a powerful template, and an easy administrative dashboard. At present, it is also useful in developing a highly functional e-commerce website. CMS Website Services, we provide all content management and content migration related services as a part of our WordPress development services in the USA for our global clients. When compared to any industrial verticals and business models, our dedicated WordPress developers and experts always fulfill the clients' needs. Request a free quote and cost estimation for custom web and mobile application development, we will get back to you as soon as possible. Please tell us about your Project? We believe that a website must look great and generate business for you against your other competitors. We professionally work together by providing our all services and helps you in achieving your business goals in the most effective, user-friendly and Google friendly way. With these skills, we have a solid understanding of business vision and workflow to complete the project in record time. We modify, customize and optimize with the help of smart and well-placed plugins to get higher profit. It improves the conversion rate, makes the design more clever, gives you a comfortable, user-friendly experience, and helps you to get conversions. At USA’s top WordPress Development Services, we house experienced and creative designers responsible to build a website appealing you. Blend of responsive web theme, plugins, and our vast website development experience makes us a prominent IT company in WordPress theme development services. SEO now appears as a common term, but WordPress was the first platform that highlighted it and the online ranking system. Boost your web’s Google rank with our SEO services in, play with keywords and get traffic online. We can give you the best e-commerce platform to sale your online product globally anywhere with the help of WordPress Store Manager, quality tools, and our programming knowledge. Our expert programmers and coders help you to build a customizable online store by fantastically executing the work. Get an interactive, fully-functional and beautiful website from our Wordpress development services in Raleigh, USA. Also, get a brilliant content management system from our software developers. You can create your blog and SEO to earn money online. CMS based on PHP and MySQL update your website quickly anytime, anywhere and easily allow you to modify the content upon needs whether it is audio, video, text, images, graphics, GIFs, etc. 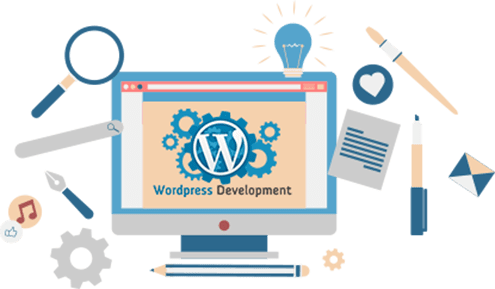 When you hire WordPress developers in USA, you do not only get a team, but our people ensures to use every byte of their knowledge and technology to build scalable and robust web platform as per your WordPress basics and needs. In order to give you total satisfaction, our developers and designers always try to give their 100%. Also, they try to match the frequency of your thinking with their skills in development as per your business need. Transparency is guaranteed from our WordPress designers as they remain dedicated and exhibit the same professional qualities with each project. Hire certified developers to bring your project on the floor in the market of world wide web.